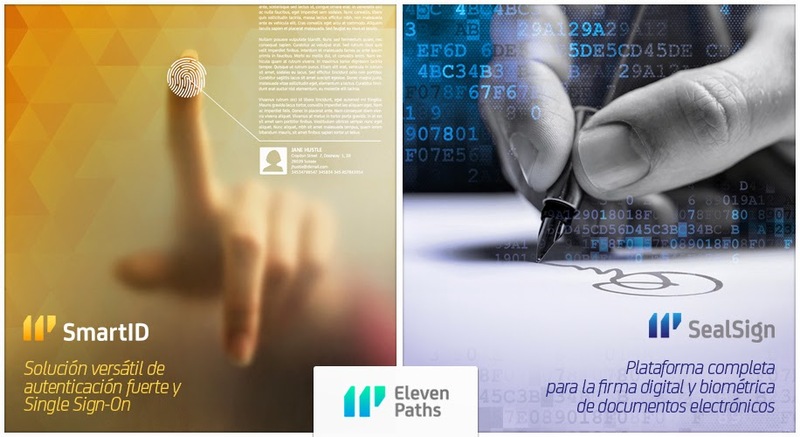 In this increasingly digital world, where users’ identity and privacy are exposed to continuous threats, from Telefónica and ElevenPaths have created a secure digital ecosystem which allows users to keep control of their personal data, preserve their digital identity and safeguard their privacy. As already announced, we have incorporated in our identity and privacy solutions, SmartID, what is known as “strong authentication”, based on biometry, and, SealSign, as robust digital signature technology which prevents possible identity theft and opens up more ways to safely digitise business processes such as legal and commercial documents. Both solutions will be on display at the Telefónica stand at the Mobile World Congress 2015 (MWC15), to be held from 2 to 5 March in Barcelona. Currently, many of the security breaches we see involve an attack on people’s identities, so dealing with this is one of the most complex, but important, issues faced today. The reduction of fraud and problems related to identity theft must be a priority for individuals and companies in order to retain confidence in digital services and applications. Through these two new ElevenPaths solutions we are in a strong position to help provide this much needed protection as well as opening up new ways of working and accessing digital services. 1. SmartID is a solution which allows for more secure user authentication when accessing applications and physical equipment, by combining different elements such as smart cards, RFID/NFC devices and biometric fingerprint recognition. SmartID essentially combines something you are (such as your fingerprint, face and voice recognition); something you have, such as your eID or your mobile phone, and finally, something you know, such as your user name, password or PIN to provide more complete identity protection and verification. Through a combination of these factors, identity theft in the authentication process is dramatically minimised in scenarios like accessing an e-commerce website, logging into your personal or work email account or when passing through security control at an airport. SmartID can also be integrated with Latch, the ElevenPaths “digital padlock” service which minimises the exposure time of personal data, therefore further reducing the risk of cyber-attacks and identity theft. This solution is compatible with the new Spanish electronic ID, DNIe 3.0, which allows for secure identification and replaces common passwords with multi-credential systems which combine at least two factors to establish the user’s digital identity. By using SmartID Spanish companies can implement security solutions based on the new identity card quickly and easily, reducing fraud and identity theft. 2. SealSign is an electronic document-signing platform for companies, compatible with digital certificates, biometric systems, One-time Password (OTP) systems and the long-term storage of signed documents. This service offers a solution based on behavioural biometry, such as a user’s voice or signature. Biometric recognition coupled with electronic signatures allows user payments, among other things, to be protected, permits access to sensitive information to be safeguarded, and also enables electronic document signing in a safe way - saving businesses time and money. To demonstrate the effectiveness of SealSign visitors will be challenged to forge the signature of a well-known personality showcasing the reliability and accuracy of the SealSign biometric signature solution. Come to Hall Stand 3J2O and participate in our demos!